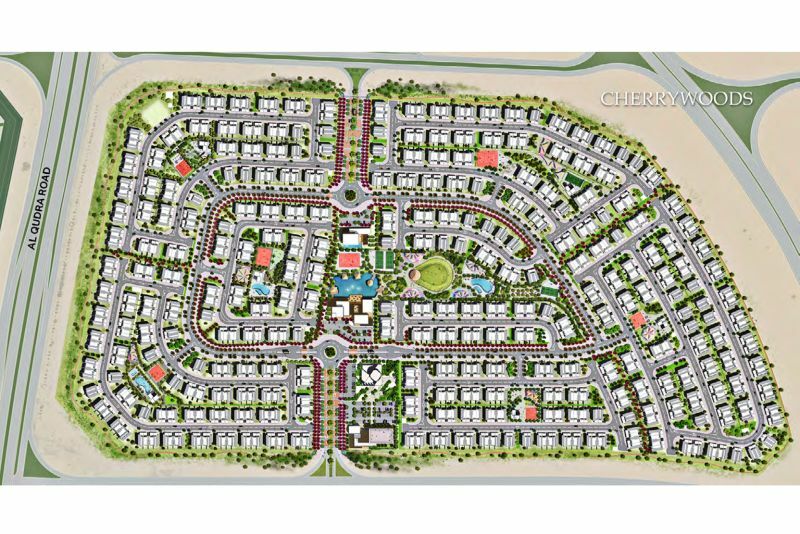 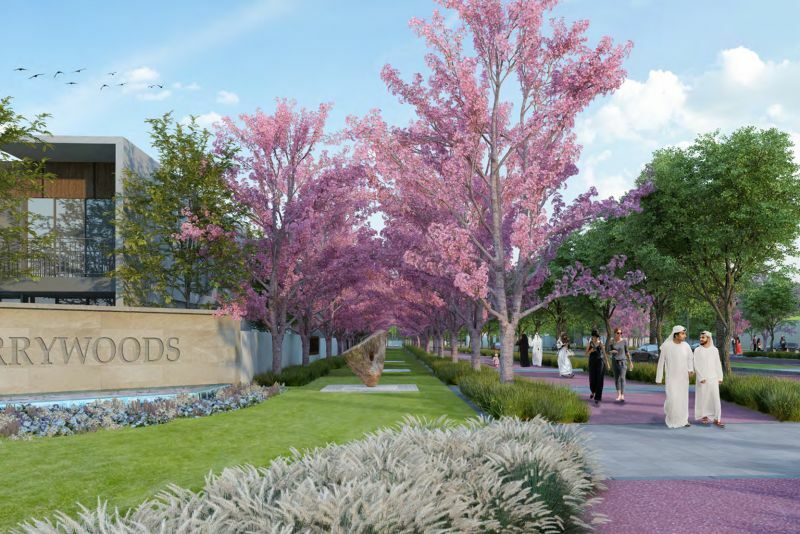 Cherrywoods is a new gated residential community to be developed by Meraas in DubaiLand. 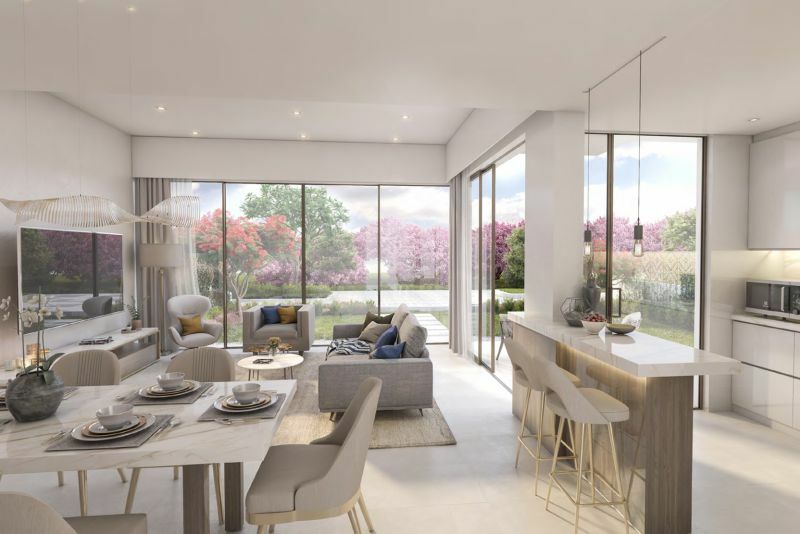 It will contain around 900 three- and four-bedroom townhouses, with community facilities that include swimming pools, a fitness centre, tennis and basketball courts, childrens playgrounds, a running track and a bicycle track. 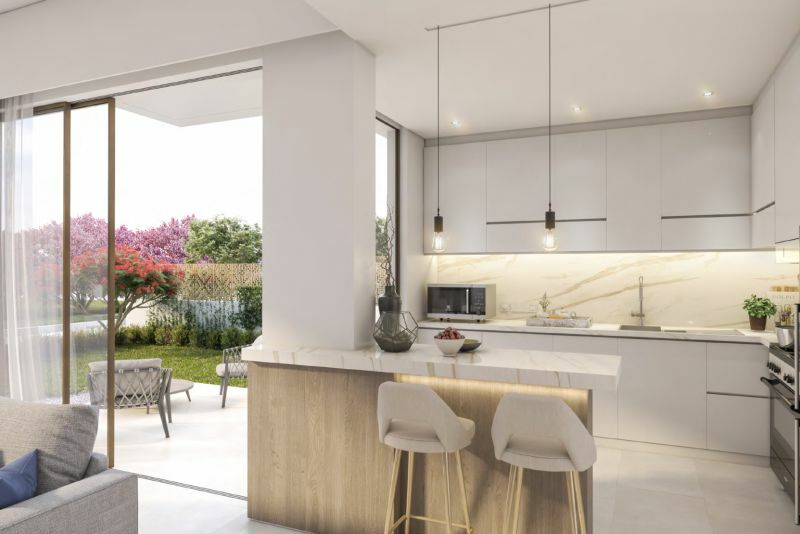 The four-bedroom corner houses have a total area of 2,634 sq ft, the three-bedroom corner houses have a total area of 2,367 sq ft, and the three-bedroom mid-terrace houses have a total area of 2,233 sq ft.
One-click links to properties currently on the market in Cherrywoods. 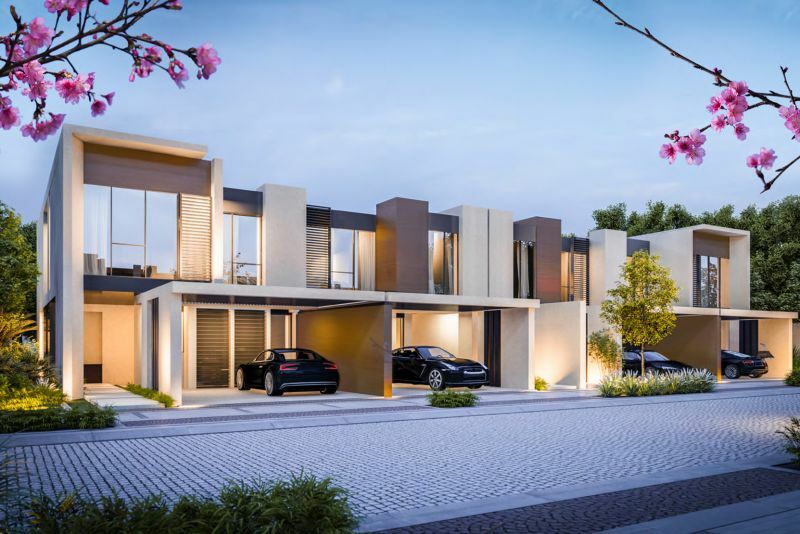 The development is located at the crossroads between Emirates Road and Al Qudra Road. 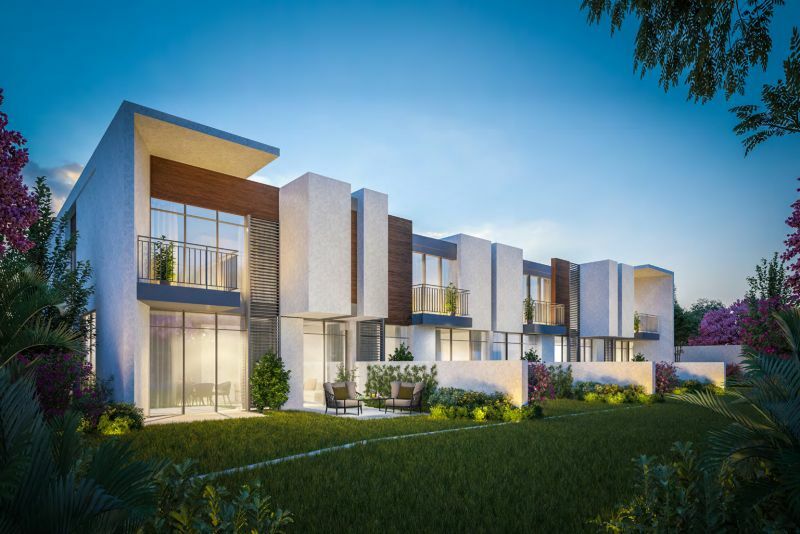 It lies 5 km from Arabian Ranches 1 & 2, Motor City and Dubai Sports City; 10 km from Dubai Investment Park; 15 km from Burj Al Arab and Madinat Jumeirah, 15 km from the Expo 2020 venue, and 20 km from the Al Maktoum International Airport.